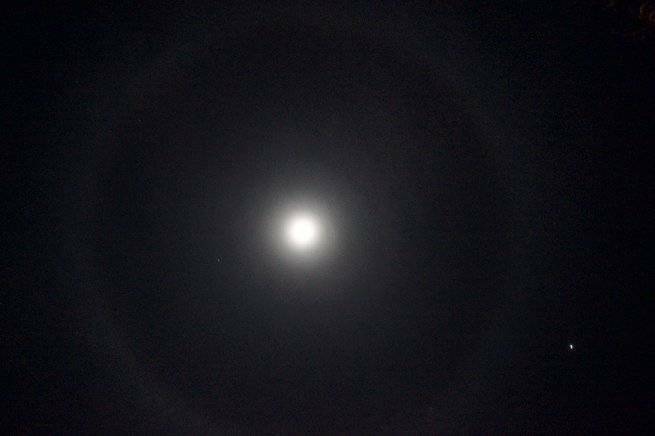 Feb. 1st there was a ring around the moon, first time I ever seen a ring around the moon. My dad said it meant bad weather was coming. » Frog Ring - any pictures?